Fencing up for only a few days near the Shady Grove Metro Station in Montgomery County is being changed, News4's Adam Tuss reported. The fence had dangerous spikes along the top. Crews cut them off Wednesday. The total project and repairs will cost more than $17,000. 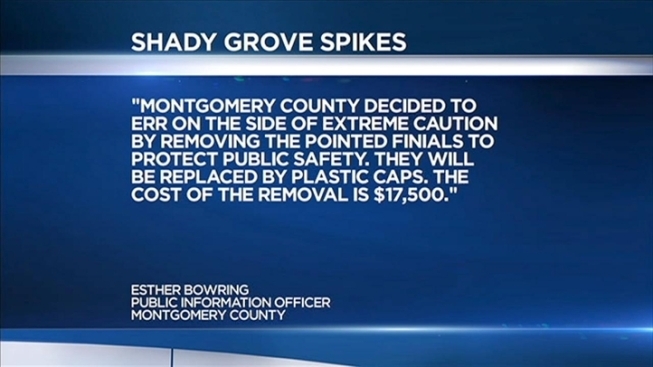 Officials in Montgomery County said they decided to cut down the spikes to protect public safety. The spikes will be replaced by plastic caps.